The Sunburst FX Light fires out focussed, sharp beams of white light that easily fills any dance floor or stage. 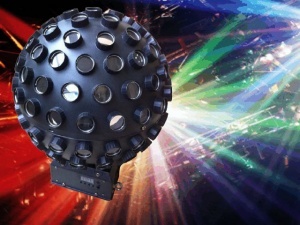 Under DMX control, the user can control the rotation speed and direction, individual dim each colour and tailor the effect of the ball to their needs. Improved LEDs provide increased brightness and smoother colour mixing, making it a popular choice for all kinds of parties and dance floors.